These comforting words will help you to write a pet sympathy card. 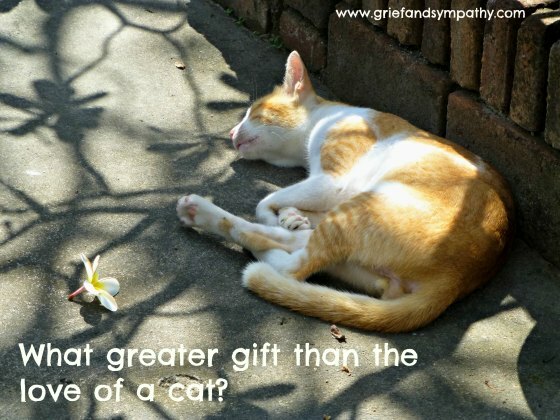 We have written sample pet sympathy messages for the loss of a beloved cat, dog or horse. Just adapt them by adding the pet's name and changing he to she if needed. It's always good add a special memory that you have of the pet if you can. Just sending a card or gift and adding a lovely message will show your friend and family member that you understand their grief and that you care. 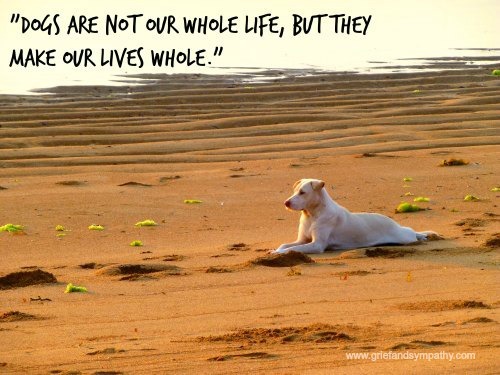 Support this site by purchasing our beautiful pet sympathy cards too. Just click on any card to see the whole range. These dog sympathy messages will give comfort to the recipient and show you care. To lose your faithful companion is very sad. Such a wonderful dog and special friend. We hope your many happy memories will provide some comfort. I will never forget ....... playing with his ball and swimming in the river. He was such a joyful dog and a loyal companion. We know you are going to miss him terribly, but hope that those happy memories will bring you comfort. You'll never forget him and he will live on in your memory for ever. Cats leave paw prints on our hearts. We are sure that ..... your beloved cat will have done that too. We are sorry to hear of your sad loss but know you will always remember that precious relationship. We are sorry to hear about the loss of your wonderful cat ...... Our thoughts are with you at this sad time. Your daily routines will change and home will seem empty for a while, but we are sure that your beloved ..... will live on in your memory. Cats can be independent creatures, but when they show you their affection it is even more meaningful. You will miss the love you had from your feline friend. I hope that you will treasure the happy memories of ...... and they will give you comfort. The bond between horse and owner is very special and strong. We are so sorry to hear of your loss. Our thoughts are with you and we hope that you get some comfort from the years of happy memories. We were deeply saddened to hear of the loss of ..... Horses bring so much fun and joy into our lives, it is a huge loss when they leave us. Our sincere condolences at this difficult time. 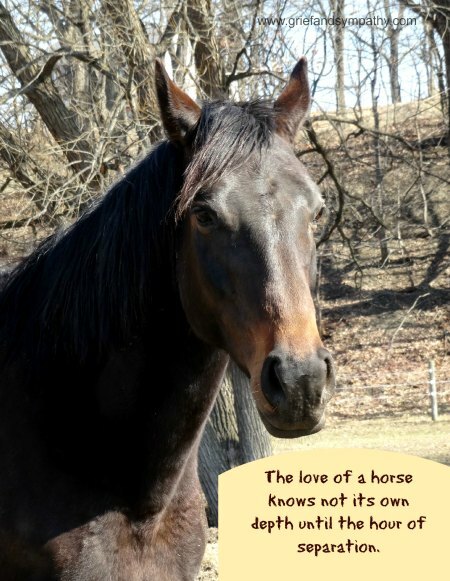 Horses leave Hoofprints on our Hearts. 7 Worst Things to Say on the Loss of a Pet!